What is Yap Twins Sport Management UK all about? 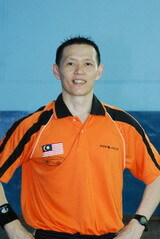 Yap Twins Sport Management is the leader in providing quality badminton coaching services in United Kingdom. It is helmed by former world no 5 doubles player Mr. Yap Yee Guan, are committed in providing top quality badminton coaching services irregardless of age, skill level, race or gender to meet any student's badminton level needs whether it is for competition or just to learn the basics for social playing. Yap Twin Sport Management (YTSM) is a leading professional badminton coaching company currently based in selected recreation club, school and private hall. We provide highly qualified coaches with a solid badminton background that are furthermore trained to coach others. To provide you with the best badminton learning opportunity. To explore more potential badminton personnel. To upgrade the overall badminton standard to meet world-class level. To become a well-known International Badminton Trainning Association and to provide the best to our students irregardless of age, gender, nationality and race. © Copyright 2010 Yap Twins Sport Management. All Rights Reserved.